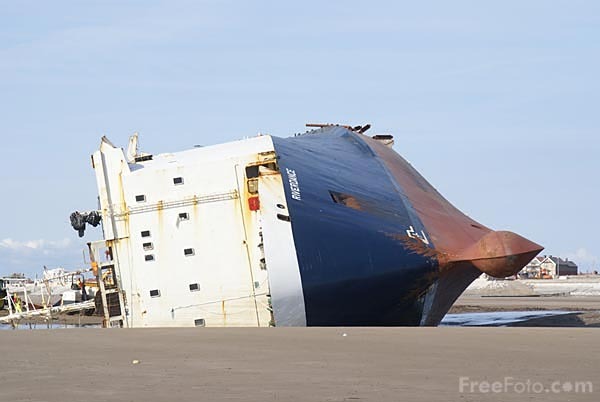 Picture of the MS Riverdance beached near Blackpool, Lancashire, She was hit by a wave on the 31 January 2008 which caused her cargo to shift and she was eventually beached. Attempts to refloat her failed and she is being scrapped on site. VIEW: More images from the category Blackpool, Lancashire or taken at the same location or around the same time .